End on family. 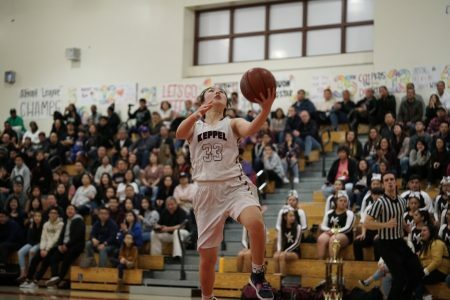 This was the motto for the Mark Keppel Girls’ Basketball team, and though their run in the CIF State Division 2 playoffs has come to an end, the tight-knit team had every reason to be proud following an incredible season. “We always say ‘end on family’ and I think this year, this team was the closest ever, and I’m really going to miss them,” said junior Patricia Chung. Keppel, a consistent powerhouse in the San Gabriel Valley area, has been known for their dominance in the Almont League. Having won 90 consecutive league games, they looked to carry over their success into the playoffs, where they were met with stiff competition from the likes of Flintridge Prep, Centennial, and Serra High School. They did exactly that, dismantling each of these teams and others in an impressive fashion, helping them advance to the semifinals in both the CIF-SS Division 1 playoffs and the CIF State Division 2 playoffs. Unfortunately, they met their match in both Chaminade and Rolling Hills Prep, cutting off their championship hopes and bringing their season to a heartbreaking end. “This was a true Hoosier story without the happy ending, but my team showed that you do not have to be the tallest, fastest, the most athletic team to be successful, you just have to be smart and believe,” said Coach Jose Herrera. In last Tuesday’s 54-53 season-ending loss to the Rolling Hills Prep Lady Huskies, the Lady Aztecs’ inability to convert on open looks made it extremely hard for them to compete, as was the case in their loss to Chaminade. “We can’t blame the entire game on those [missed shots and turnovers] because a lot of it had to do with our defense and offensive rebounds, but everyone on the team missed easy shots, whether it be free throws or layups, and a lot of those would have turned into points that we could have beaten them by,” said senior Vanessa Aguirre. The missed opportunities, paired with the Lady Huskies’ control on the glass, proved to be too much for the Lady Aztecs to overcome. 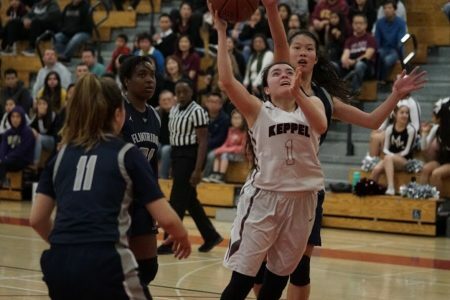 Keppel was outrebounded 43-18, with Rolling Hills’ sophomore Clarice Okunwafo leading the way, as she corralled 20 of her team’s rebounds to go along with her game-high 23 points. “[Okunwafo] is barely a sophomore and to get 23 points and 20 rebounds, props to her. Obviously, we always go up against taller teams and when we do that, we’re not able to box out. For the most part, we tried to outjump her or get in front of her and that did not faze her,” said Patricia Chung, who finished with a team-high 15 points. 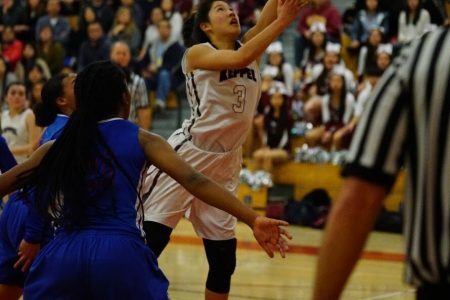 While Okunwafo, who stood at a towering 6’4, bullied Keppel in the paint, it was the play of freshman Tatum Tamashiro that gave RHP the advantage that they needed. The guard was seemingly always in the right place at the right time, grabbing timely rebounds for her team and making crucial putbacks to help seal the game. Despite all of this, the Lady Aztecs still managed to stay in the game. After falling behind for much of the first quarter, they stormed back in the second quarter behind a 7-0 run to take a 21-18 lead. They took their largest lead of the game in the third quarter, extending the margin to seven points, and did not trail again until the fourth quarter. However, the Lady Huskies retook the lead with three minutes left in the fourth quarter, putting the Lady Aztecs on the cusp of elimination. The teams traded baskets, but after consecutive layups by Okunwafo, Keppel found themselves trailing by four points with a minute left to play. Aguirre’s layup cut the deficit to two, and Chung drove into the paint and dropped a beautiful, over the shoulder pass to Mia Heidt, who tied the game with 5.5 seconds left. With the crowd already in an uproar, Aguirre nearly sent the crowd into a frenzy as her desperation heave at the buzzer almost fell in, but the shot fell slightly long off the backboard. “I tried to make a play and the big girl came out to help, so I dished it to Mia. I didn’t see where I was passing, I just knew she was open and I was praying that she was looking and she was, and she made the shot to go to overtime,” said Chung. Both teams stepped up their defense in overtime, but with the Lady Aztecs being unable to convert on any of their field goal attempts in the period, Alyssa Maxey’s three-pointer with 2:45 left ended up being the game-winning basket for the Lady Huskies. 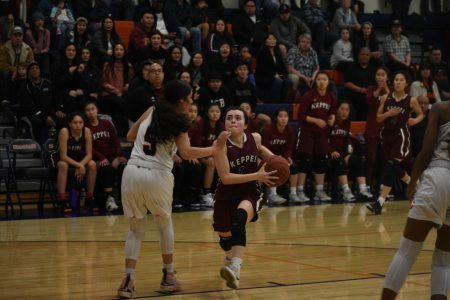 Keppel had numerous opportunities on the final possessions thanks to the hustle of senior Angela Garcia, but the shots simply would not fall. “It was both frustrating and disappointing seeing us miss all those shots at the end. Our girls had plenty of looks and they took shots that they normally make but unfortunately, the basket seemed to have a lid on it and the shots did not fall in our favor. It was not our night,” said Herrera. 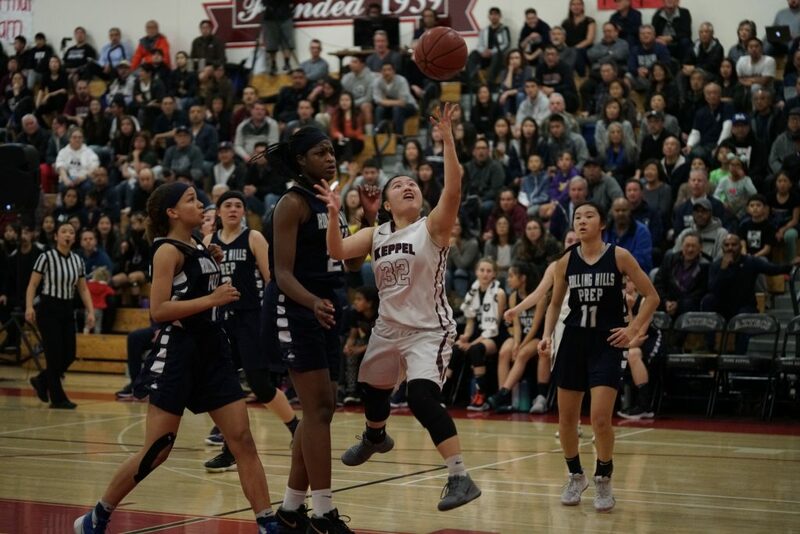 After their win, the Lady Huskies fell short in the state championship against Menlo High School, losing 70-63 in a tightly-contested matchup. While the Lady Aztecs certainly wish that they could have competed for the state title, they remain proud of what they were able to accomplish and cherish the bond that they had as a team.